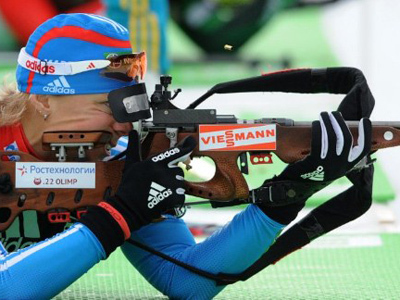 Russia’s biathlon team have cruised to gold medals in the mixed relay at the World Cup’s third stage in Hochfilzen, Austria. ­The Russian quartet of Olga Vilukhina, Olga Zaitseva, Alexey Volkov and Anton Shipulin, who avoided penalty laps, needed one hour 13 minutes and 33 seconds to complete the distance. The Czech team finished in second, some 27 seconds behind the winners, while France completed the podium. “Of course, it’s a great responsibility, but at the same time, you just feel incomparable happiness when you win like this,” he added. 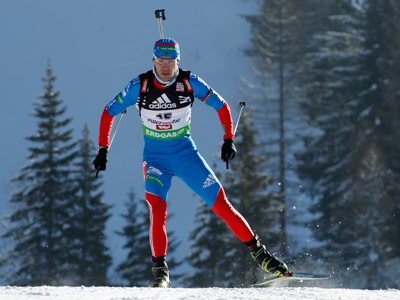 The mixed relay win was Russia’s third gold in Hochfilzen, with women’s team leader Olga Zaitseva also topping the 7.5-kilometer sprint and 10-kilometer pursuit. 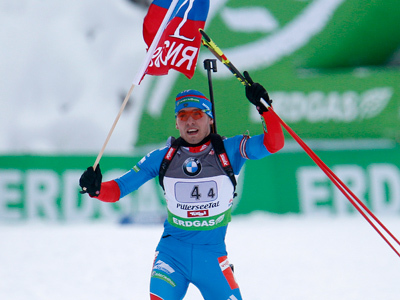 The next stage of the IBU World Cup is scheduled to take place in Oberhof, Germany in January 2 – 8, 2012.